When it comes to camping, the secret to having an enjoyable experience is the kind of food you bring with you. You’re aware that you can’t bring your entire fridge, so you’re going to have to learn to rough it for a while, but nothing is more beneficial than having a list of non-perishable foods that are not only nutritious, but are also very convenient to have. There’s no need to worry about food spoiling and having to throw it away. And many of the foods you bring with you will be in containers that you can reuse as vessels for other items, such as water. Planning a list such food items before your big trip can make all the difference in the world, and will help to keep your meals interesting, especially when you don’t want to wait for a meal to be prepared. Because you’re going to be exerting yourself a lot during your camping trip, it’s important to look for foods that will provide you with that boost of energy and still help you feel full longer throughout the day. It may seem easy and cheap to just go for the foods that are high in sugar and salt, but these can end up being more detrimental to your health than you realize. Such prepackaged foods should only be kept as snacks, not as main items of a meal. Instead of going for the already-made boxes and bags of trail mix, you may have a better time making your own. Visit your grocery store’s health food bulk section, and you’re presented with endless possibilities of the kind of trail mix you can make. There are a wide variety of nuts, such as peanuts, Brazil nuts, cashews, and walnuts, as well as seeds that add an interesting flavor as well as provide healthy oils and fats that your body can burn during your hiking trips. See our reviews of the top energy bars in the market and how they measure up. Seasoned pumpkin seeds and sunflower seeds can definitely make the difference. 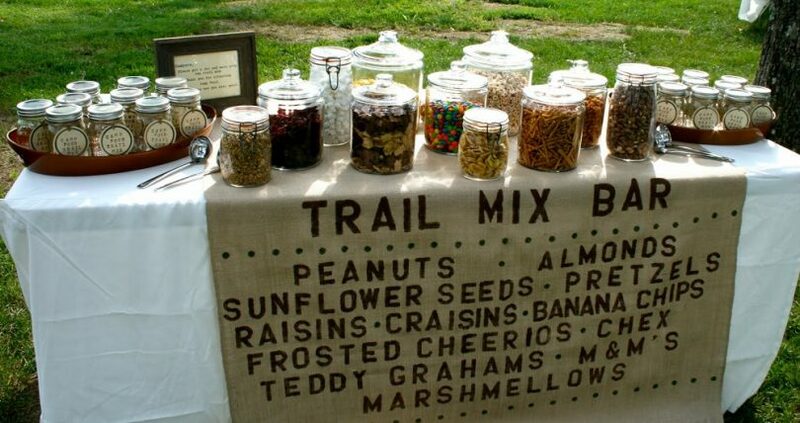 You can also add some dried fruit, such as raisins and dried cranberries to add a little sweetness to your trail mix. Banana chips, figs, apples, and shredded coconut are packed with rich vitamins and minerals that will keep you healthy and regular during your trip. Peanut butter can be a great way to have multiple meals without having to worry about a lot of clean up. They can provide a quick energy boost, last a long time, and don’t require many special procedures to keep it preserved. This along with almond and cashew butter can also be used to add great flavor and substance to soups and chilies, especially those that are made from leftover meals throughout the week. 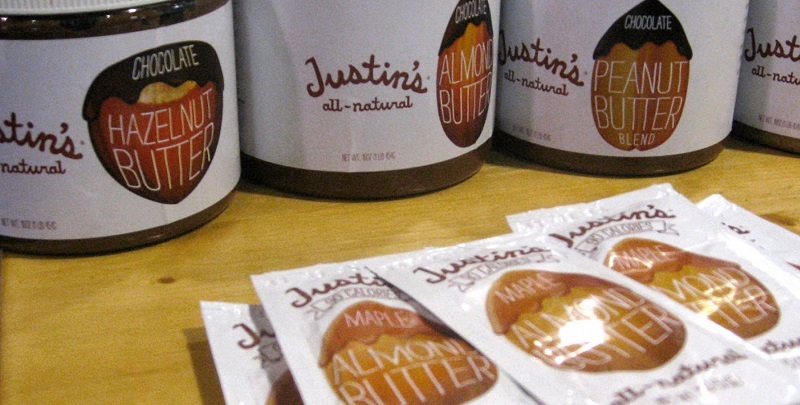 If you’re worried about carrying an entire jar with you, look for individually packed servings of peanut butter, which can make great snacks during your excursions from your camp site. These foods are not only lightweight, but have a longer lifespan than their normal counterparts. Many of them can be eaten as they are, but some you can add to a pot of boiling water to have a delicious and hot meal that will keep you satisfied throughout the day or night. They are available in a wide variety of meals, such as pasta primavera, breakfast skillet, scrambled eggs, vegetable lasagna, and many others. Because they last so long, they make a great addition to any survival kit, so you should definitely consider bringing these along with you, especially if you don’t think your cooking skills are up to par. You wouldn’t believe the variety of foods that come in cans! In fact, you can make several whole meals just out of the food that you find in cans. Corned beef, tuna, sardines, and salmon serve as the basis for your protein, as well as smoked oysters and clams. Vegetables such as corn, green beans, and kidney beans can also be taken and mixed together to make an impromptu chili, just as long as you remember the spices as well. Worried about your fruit getting bruised? Canned fruit can be a great alternative, and you can certainly use the syrup from the can for some other meal. If you don’t want to make a soup, there are already concocted can soups that save you the hassle of having to cook from scratch. Make sure that you look at the expiration dates before you buy, however, and don’t get cans that have been dented. If you plan on cooking and can handle the weight of some other foods, then it never hurts to eat fresh. You can easily pack thin pasta, cooking rice, corn on the cob, and whole potatoes with you to add some more variety to your meals, and they won’t spoil very quickly either. 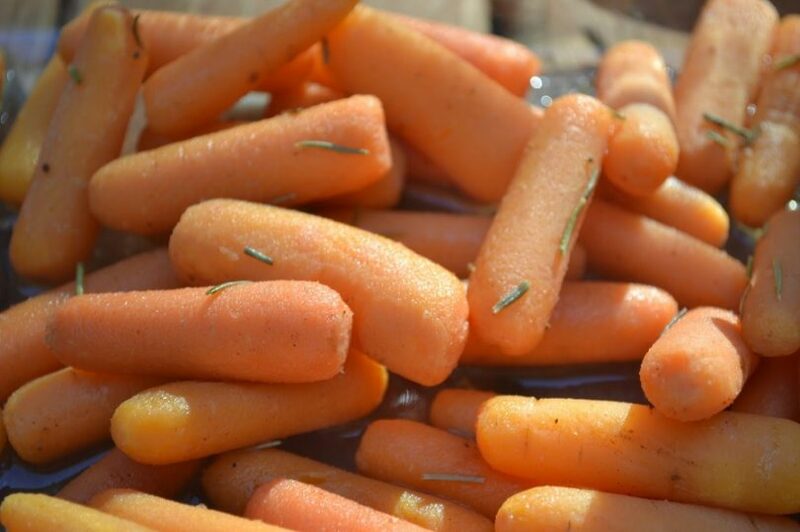 Carrots, apples, beets and oranges also travel well in backpacks, so be sure to include them as well. If you’re interested in bringing cheese with you, you can keep it fresh by wrapping it in cheesecloth soaked in vinegar. 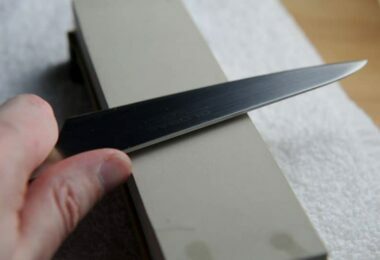 This will help to keep the mold away, but even if it does start to grow, just cut out the moldy parts and use the rest. is having a cooler an option? how much can you carry to and from the campsite? Your need for nutrition and hydration will be higher than normal because of all of the strenuous exercise you’ll be engaged in. 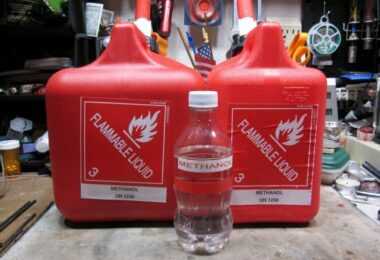 Be sure to pack more fluid than you think you’ll need, especially if you’re camping during those warmer months of the year. If you’re just going for a day trip of hiking, then you’re going to want to focus on foods that are easy to carry and also lightweight. You can include some perishable foods, such as sandwiches, as long as they are kept chilled properly with an icepack. Great lightweight foods to take with you are trail mix, nuts, seeds, packs of nut butter, dried fruits and vegetables, energy or granola bars, pouches of tuna salad, cans of poultry or salmon, meat jerky, and bottled water or sports drink. If you’re planning for several days of camping, then you’ll have to invest more time into planning the kinds of food you’ll bring with you. Your meals should be mapped out to add variety as well as ensuring that you’re making the most out of the food you brought with you. 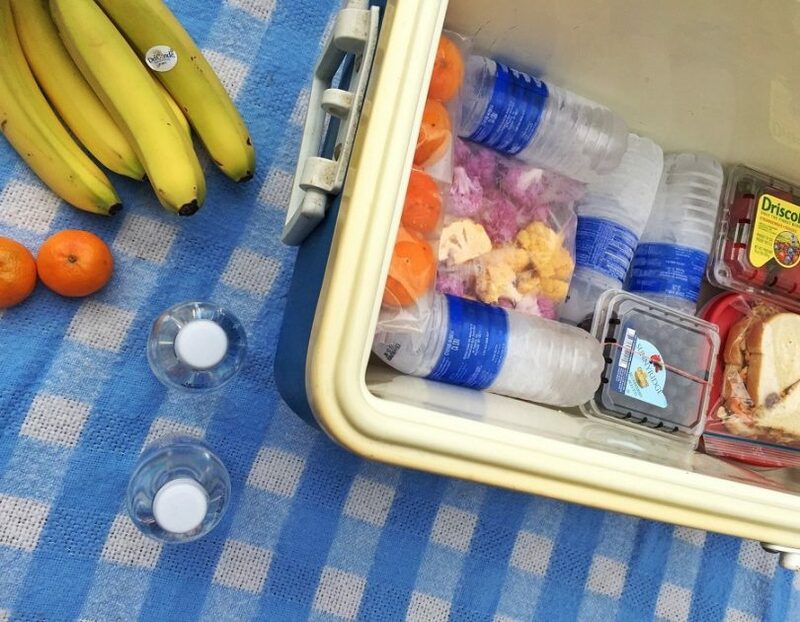 Bringing a cooler with you definitely increases the chances of keeping your food for a lot longer. Including the foods mentioned above, you can also bring small boxes of ready-to-eat cereal, fruit puree pouches, poultry and fish pouches, condiments such as ketchup, mustard, mayo and soy sauce, dried pasta, rice, freeze-dried foods, pancake mix, and dried soups, just to name a few. And to leave your campsite as you found it, always be prepared to carry garbage bags to take your rubbish with you when you’re finished. Just because you’re enjoying the environment doesn’t mean you have to ruin it for everyone else, especially the animals who may call the area their home. Being without the convenience of a lot of water and soup, it’s essential to have good food safety practices from packing to plating in order to avoid suffering from food poisoning. Being stranded in the middle of nowhere with intestinal distress is not how anyone wants to spend their camping trip. Perishable foods cannot keep in weather that is hotter than 90 degrees F for more than an hour. If you have brought these kinds of food with you, be sure that they are consumed quickly. The best time would be as soon as you’ve unpacked everything at your campsite. Wash your hands often, especially before and after eating. If you want to save on water, using moist towels will work just as well to kill the majority of bacteria that is on your hands. Keep raw meats and cooked foods separate. Cross contamination is a sure way to make yourself sick. Always cook food to proper temperatures. Having a food thermometer amongst your gear can make this a lot easier. Refrigerate foods below 40 degrees F. Use plenty of ice or ice packs in a cooler to get your food cold enough. Leftovers should only be stored if there is still ice, and keep your cooler in as cool a place as you can find. So to avoid becoming a traveling lunch pack for these critters, there are steps you can take to protect you and your food from becoming part of their daily meals. Being careless with your food is the easiest way to gather their attention, and soon you’ve lost all of your supplies. The first step to being cautious is to not offer any of your food to these animals in the first place if they show up to your tent flap. They’ll learn quickly that you’re a source of easy food, and will come back again and again for more. And if you’re empty-handed, they’ll take whatever means necessary that have at their disposal to make sure you’re not holding out on them. Your biggest problem will probably be bears. They’re large, dangerous, and a sense of smell that’s 100 times better than a dog. This makes it easy for them to find your food, and they’re always going to take the shortest route to getting their calories rather than foraging around in the forest for the chance to find something tasty to eat. And like raccoons, they have shown great ingenuity in getting to the food, not matter where you hide it or lock it up, even breaking open coolers and into cars just to get at the wonderful smells. Take a look at the best bear canisters today, read all about it in our earlier article. 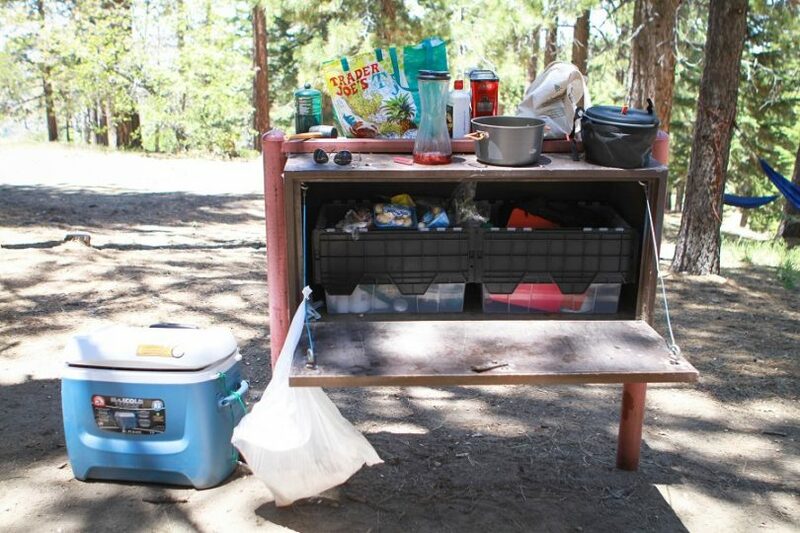 foods and other items with strong smells, such as toothpaste, seasonings, and powders, should be stored in a bear box overnight, if one is located in your camping area. 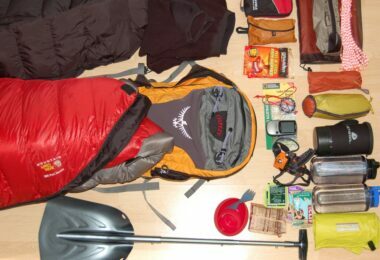 don’t leave anything in your packs overnight and leave all of the pockets and compartments unzipped and open. This way, the animals that wander by can investigate without having to chew your bag open. store your foods at least 200 feet or more from your sleeping area. 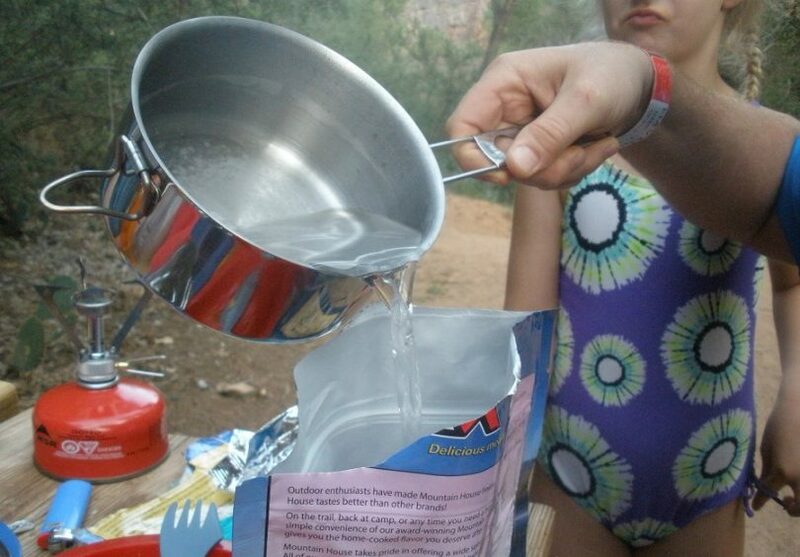 Your food should be kept downwind of your camping site, if that’s possible. If you want a better way to protect your food, then there are products on the market that are said to be bear-proof and will keep them out of your stash. Many camps and parks provide bear boxes that you can store your food in, but if they don’t, you’re on your own for finding those products that really work. If you do decide to use the bear boxes already provided, you should label your food in order to avoid confusion, don’t use them as garbage receptacles, and make sure that they are closed and latched properly after each visit. Bear wires can be used to keep your food up high enough to make bears not care. They should be used on well-spaced trees, and allow you to suspend your food bags above the bear’s standing reach. It can take some time and practice to do it properly, but it’s important to check the regulations of your camping area first, as many parks don’t allow them and have cut them down in the past. Bear poles consist of tall metal poles with hook like arms, which hold bear bags and backpacks for safe keeping. It’s important that you get a main standing pole that is tall enough for a bear not to reach, so check the height of them before you decide to invest in one, or you could be out both money and your food supply. 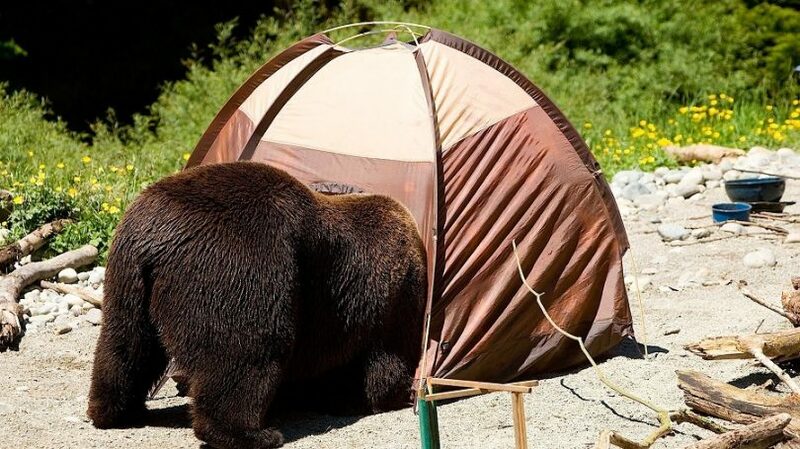 Staying safe, while you’re cooking food or keeping it out of the claws of bears is essential to having an enjoyable experience during your camping trip. Having a list of non-perishable food will keep you on task and ensure that everyone is getting their fill without wasting too much food. It can be difficult to find a balance between packing light while still eating properly, but with careful planning, inspecting labels, and spreading the weight around, you can ensure that your days will be rich with delicious meals that will keep you energized and feeling full.